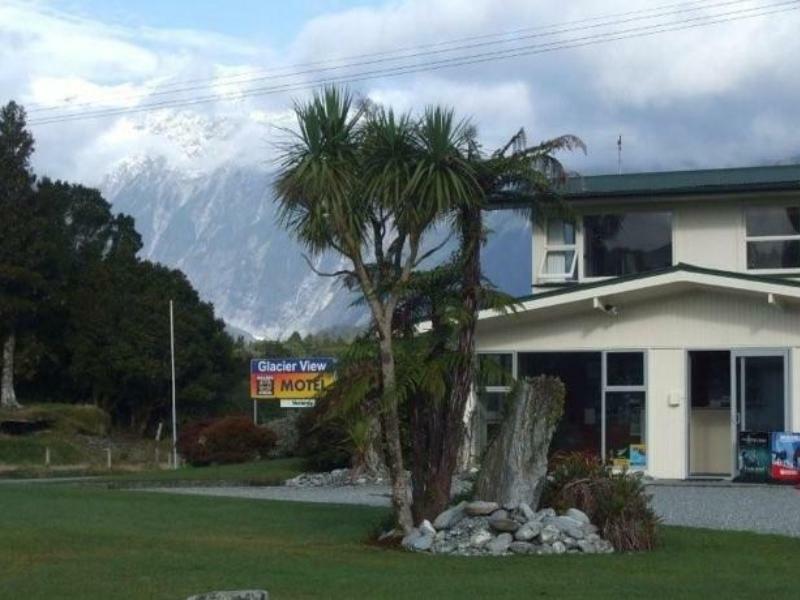 يشكل فندق Glacier View Motel بموقعه الممتاز في قلب Greater Franz Josef نقطة انطلاق ممتازة لاستكشاف فرانس جوزيف جلاسييه. إن موقع الفندق الاستراتيجي، الذي يبعد 2 km فقط عن مركز المدينة، يسمح للنزلاء بالوصول سريعاً وبسهولة إلى العديد من الوجهات المحلية المثيرة. يشكل هذا الفندق ملاذاَ مريحاً للاسترخاء ويمنح زواره فرصة للاستجمام والتجدد، وهو يقع على بعد خطوات من المعالم السياحية الكثيرة للمدينة كمثل: Westland Tai Poutini National Park. استمتع بالخدمات الراقية والضيافة التي لا مثيل لها بهذا الفندق في فرانس جوزيف جلاسييه. يمكن للنزلاء الاستمتاع بالميزات التالية: مرافق مخصصة لذوي الاحتياجات الخاصة, واي فاي في المناطق العامة, صف السيارات, جولات, خدمة غسيل الملابس أثناء إقامتهم في هذا المكان الرائع. تنعكس أجواء Glacier View Motel في غرف الضيوف.تلفزيون بشاشة مسطحة, اتصال لاسلكي بالإنترنت, غرف لغير المدخنين, تدفئة, ساعة منبه هي بعض الميزات الموجود في العديد من الغرف. صممت خدمات الاستجمام في الفندق والتي تتضمن حديقة لمساعدتك على الاسترخاء والراحة. استمتع بخدمات لا يعلى عليها وعنوان ذو اعتبار في Glacier View Motel . The location is great for us, a bit out of town in the beautiful countryside. Rooms, staff etc were all great. The only issue we had was the WIFI. Difficult to connect and often completely unavailable. It was slow and at times we had to go outsider the room to get a connection. Lovely clean unit with everything we needed. The motel is near the road .Easy to found .Good place. We enjoyed our stay here. Nice quiet little place, with lovely views outside on your front porch. Staff were helpful. The location is little bit from town, and taxis aren't easily available in Franz-Josef, so maybe best if you have your own car. But the hotel staff let us know of several restaurants in town that will come pick you up (and drop you back off after) if you make a reservation in their restaurant! And you can arrange a driver to come pick you up to take you into town or to the glacier for a fee. We took advantage off both options (as we took a bus to Franz Josef and had no car) and worked for us! Stayed in two bedroom units with toilet and kitchen and spacious living. It is simple, clean and value for Money. This was an older type of motel, but as we were only looking for somewhere to stop over for the night, it suited us. Management were very helpful and the rooms were clean. Doesn't look much but comfortable! We were fooled by the name Glacier View. This motel was far (not walking distance) from the town center and very very far from the Glacier. There was no restaurant or shop or anything nearby. No service after 8pm when all the staffs disappeared. We were left out with no WIFI signal in all 3 rooms that we stayed. Rooms were old and not in good conditions, Will not stay here again. The room is large, light, clean with a mini fridge, stove top and dishes. It's very clean. The staff is very helpful. stayed one night when it was rainy. And the noise came from outside stopped us from falling asleep. but the price is not that expensive for glacier acommendation. Staff are nice. Leaking roof, old furniture away from the hamlet. With families should avoid. Great location, modern and comfortable accommodation. Stayed in the two bedroom unit. Basic but very spacious and homely unit, clean with windows overlooking a peaceful farm and a view of the glacier from the porch. Friendly and informative owner who provided good recommendations. Would recommend this for close and affordable access to Franz Joseph Glacier. Peaceful location with gorgeous view of mountains and glacier; convenient to town. Staff helpful. Room nice. Exceeded our expectations.